Audeze, a leader in best-in-class premium audio, is pleased to announce the launch of its new planar magnetic headphones, the SINE in India. 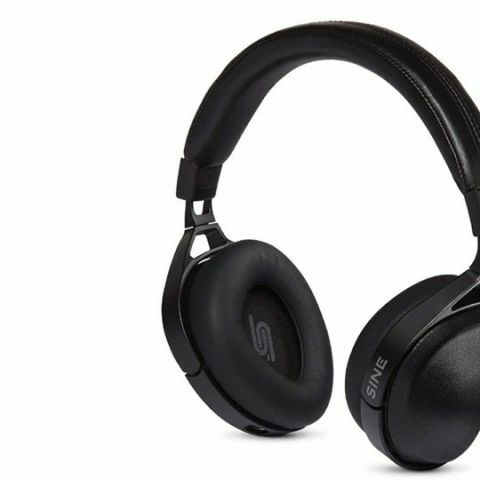 Combining revolutionary acoustic engineering and beautiful craftsmanship to provide the ultimate in audio, the SINE Headphones are the first of the new generation of on-ear planar magnetic headphones on the market. The lightest Audeze headphones to date, the SINE headphones offer exceptional sound quality and comfort. They fold flat for portability. The SINE headphones feature Audeze's renowned Fluxor® planar magnetic technology with Fazor® Elements and Uniforce® Diaphragms to provide a highly efficient yet lightweight headphone, with very low distortion, good bass, a seductive midrange, crisp extended high frequencies, and excellent imaging. Audeze's fully integrated Apple Lightning cable is also an option for the SINE headphones. The exclusive Lightning cable streams a complete 24-bit digital signal through a high quality DSP and DAC to offer better sound quality directly from the iPhone. The built in microphone can be used for phone calls or Skype and is SIRI compatible. Keeping with the acclaimed Audeze aesthetic, the SINE headpones' advanced transducer technology is coupled with BMW DesignWorks USA's fine craftsmanship for the ultimate audio and visual experience. The Audeze Sine is available for purchase online at Headphone Zone at an MRP of Rs. 39,990/- for the Sine with a Cipher cable, and Rs. 34,990/- for the standard audio cable version.